Brexit: What is regulatory alignment? Image caption Labour MP Yvette Cooper asked if the idea of regulatory alignment had now been "ditched"
The DUP did not like what was proposed on "regulatory alignment", but Brexit Secretary David Davis suggests that the concept will still be key to making progress. "Regulatory alignment" effectively means continuing to follow at least some of the rules of the EU's single market. The taoiseach (Irish prime minister) said that the EU and UK had agreed that, short of a comprehensive trade agreement, there would be ongoing alignment between the two parts of Ireland sufficient to avoid a hard border. Labour MP Yvette Cooper asked Mr Davis on Tuesday if, following Monday's débacle, the idea of regulatory alignment had now been "ditched". In his answer he explained what he understood by the term. How to get out of Brexit linguistic hole? He referred Mrs Cooper to the prime minister's Florence speech, in which Theresa May spoke about how the EU and UK "share a commitment to high regulatory standards". Mr Davis said the Prime Minister had made the case that the two sides would, in some areas, want to reach the same regulatory outcomes, but by different methods. This is a concept which the the UK government had previously proposed. In its paper on Northern Ireland, published earlier this year, it raised the idea of regulatory equivalence on agri-food measures. It stated that the UK and the EU could agree to achieve "the same outcome and high standards, with scope for flexibility in relation to the method for achieving this". Mr Davis went on to to say that this sort of alignment would apply to the whole of the United Kingdom, rather than just Northern Ireland. The Scottish Conservatives leader, Ruth Davidson, expanded on this point in a statement. "If regulatory alignment in a number of specific areas is the requirement for a frictionless border, then the prime minister should conclude this must be on a UK-wide basis," she said. So perhaps the government thinks they can persuade the DUP that regulatory alignment will be something for the UK as a whole, not just Northern Ireland. However, there could be a difficulty with this all-UK approach, as the Institute for Government pointed out in a recent report, subtitled "Can the UK have its Brexit cake and eat it?'" It points out that while the UK is trying to reassure the EU that it intends to meet the same regulatory outcomes it is also talking about having "flexibility" on the legal rules and standards underpinning them. The institute suggests that the EU may interpret flexibility as a risk to its environmental, social and health and safety standards. For example, in August the EU's chief negotiator Michel Barnier said: "The UK wants to take back control, it wants to adopt its own standards and regulations. "But it also wants to have these standards recognised automatically in the EU... This is simply impossible." 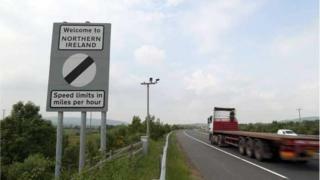 The EU has been consistent in its belief that Northern Ireland will need a special deal to cater to its unique circumstances. But it has been equally clear that such a deal cannot apply across the UK as a whole.